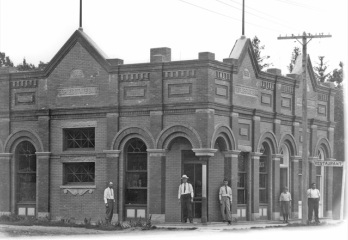 The Peoples State Bank was incorporated in 1909. The Building was constructed at this time. The bank was added onto in 1912 to make room for the Mazeppa Journal. A restaurant was in that space during the interim. This is how the bank looked in the 1970's. 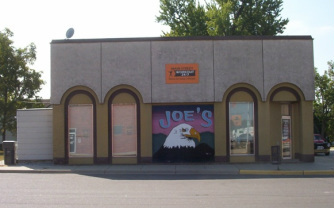 When the bank moved to its new location this became the home of Joe's Arcade. Most recently it became the Home of the Mazeppa Area Historical Society. This was the new building for the People's State bank until its demise. 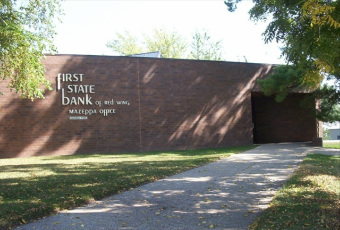 The Bank is now known as the First State Bank of Red Wing - Mazeppa office.